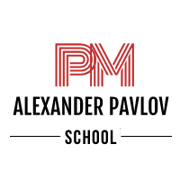 PM Expert, the leading Russian company in the field of project management, renders professional services related to project, program, and portfolio management in the following areas: outsourcing (managing the customer’s projects externally), consulting (implementing project management in the customer’s company), training (classroom-based and distance learning courses in project management) and certification of specialists and companies. KdZen, Inc. is developing a unique web - service RiskGap.ru supporting project risk management, project knowledge management, project Lessons Learned. City Business School – modern business school of a new type, combining elements of classic business education and the latest education systems and technologies. Thanks to innovative services and the best distance learning system in CIS City Business School students are getting all the necessary skills for rapid growth, both professionally and personally.